One of the most famous of Australia’s project homes, Lendlease’s Beachcomber was penned by chief architect Nino Sydney as an elegantly reduced, attractive and affordable residence that sat lightly to the ground. With large glazed portions and open space, gridded slender steel posts push the main rectilinear volume upwards, allowing for sloping terrain, circulation and garaging underneath. 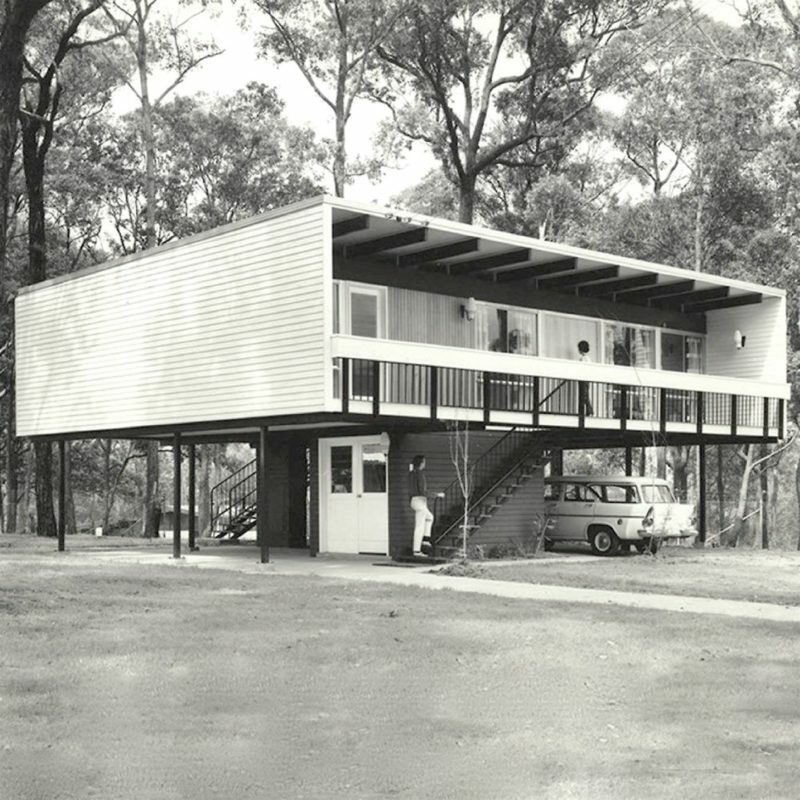 With approximately 200 such homes constructed, the Beachcomber had more in common with the code of Le Corbusier than other mass-produced designs which facilitated a broad, suburban introduction of Modernism to many.